We left the Happy Traveler RV Park near Tampa on Monday and got over to Orange City RV Resort. They gave us a first time special of $149/week – not bad!!! 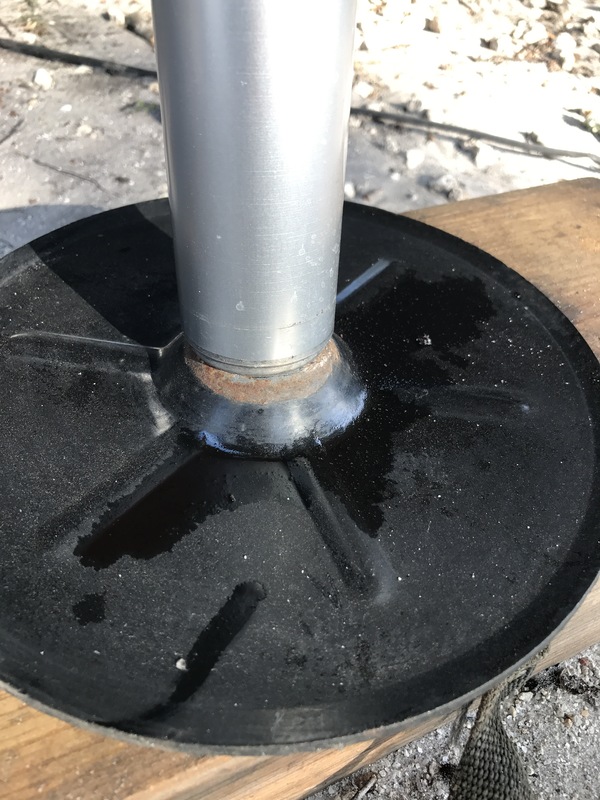 We got set up then were sitting outside when we saw hydraulic fluid on the foot of the jack… oh great! We wiped it off, checked inside the propane cubby where all the lines come in from the reservoir then spread out to each jack and the slides. We have the Lippert 6 point Automatic Leveling System. We wiped off all the lines, couldn’t see a visible leak or wear anywhere so decided to wait and see what happened. Maybe it was just pressure from being so hot, who knows?! Friday night we noticed more fluid on the jack pad. So we removed the hanger that holds all the lines in place and separated them. 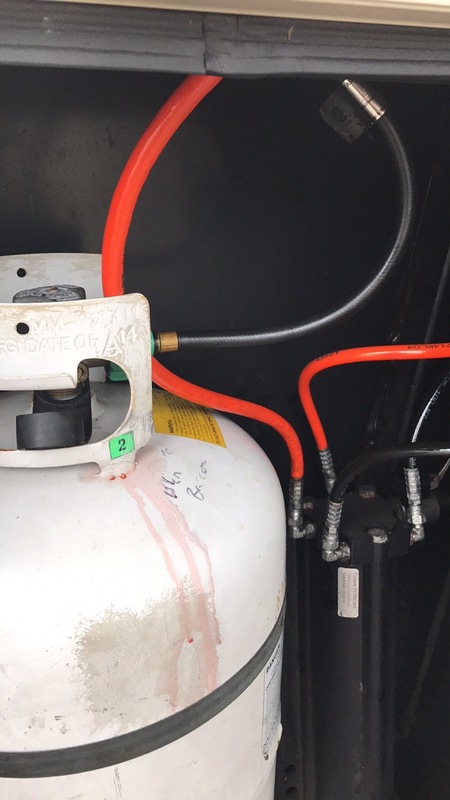 We put the suspected culprit on the propane tank so we could see if that was actually the leaky line. Saturday morning confirmed it! Hydraulic fluid all over the tank. So I called a mobile RV repair service and scheduled an appointment for Tuesday afternoon. Hopefully they can get the line replaced and fixed sometime next week. I know we will be here through next weekend at least, so I’m grateful for that. UPDATE: We fixed it ourselves! 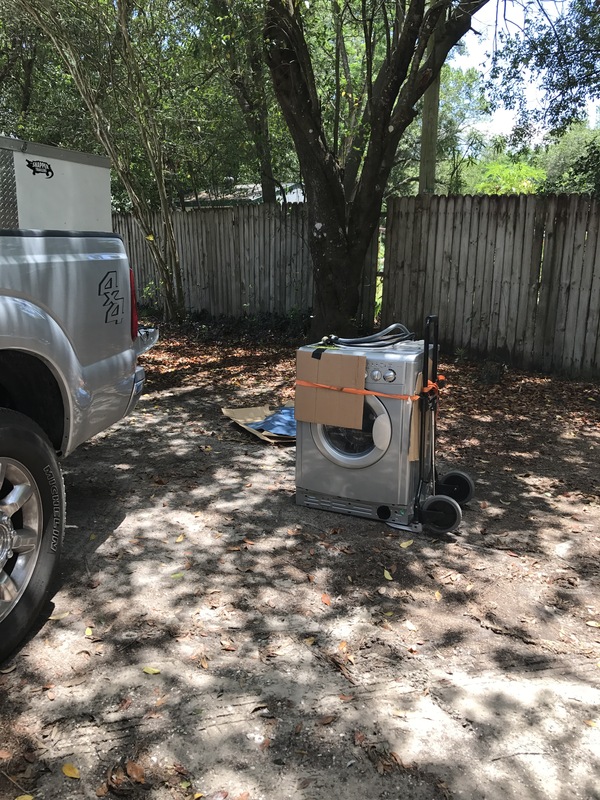 Right before we left Tampa, we had someone come and pick up our Splendide 7100xc washer dryer combo. Since it had been throwing an f13 error code from the first week we had it, they agreed to refund our purchase price. I’ll write a more detailed post on that next week, there’s a lot to cover! Now we are on the hunt for a new combo unit because I despise having to take everything to the laundromat and we are incredibly spoiled with the convenience of having a unit on board. I found a dealer here that can order a Contour brand combo for us but I can’t find ANYTHING online when I’m searching for it, so we haven’t decided if that’s the one we will go with. 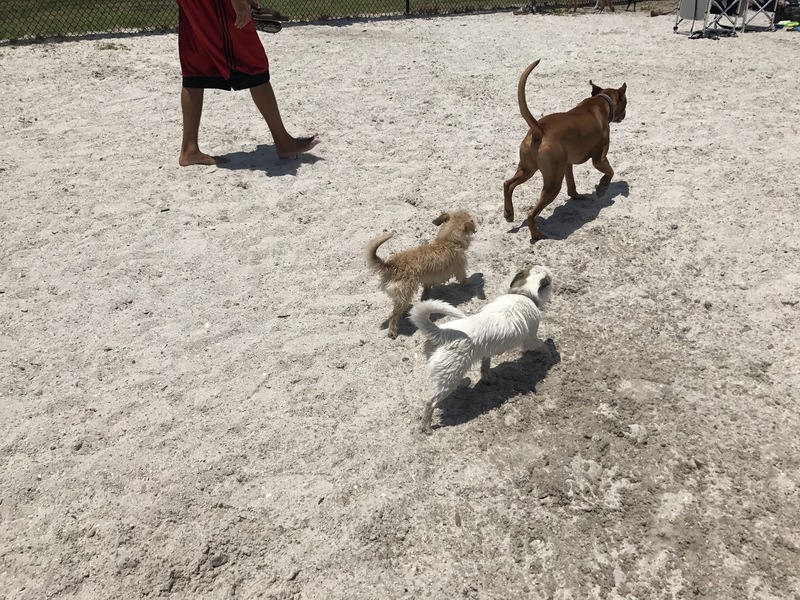 We did manage to take the pups to the doggy beach while in Tampa and they loved it! I hope all you moms have a great Mother’s Day weekend! 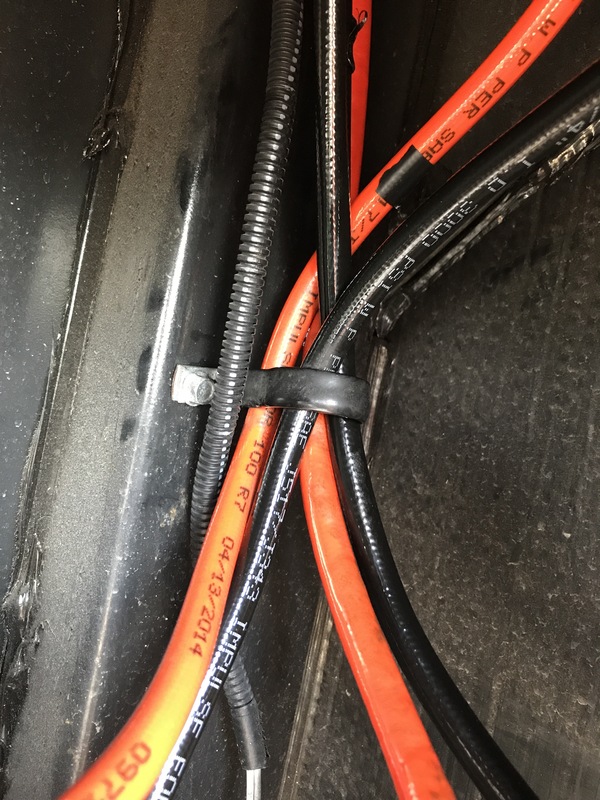 This entry was posted in 2015 Grand Design Momentum 385TH, Camper, RV and tagged all in one washer, florida, Grand Design Momentum, Happy Traveler RV Park, hydraulic jacks, leaking hyraulic jacks, Lippert, orange city rv resort, splendide, splendide 7100xc, washer dryer combo by Rachel Gillen. Bookmark the permalink. Since your at Orange City you should try and hit Blue Springs… Very nice park with beautiful swimming in Crystal clear waters! We are over near Daytona Beach. 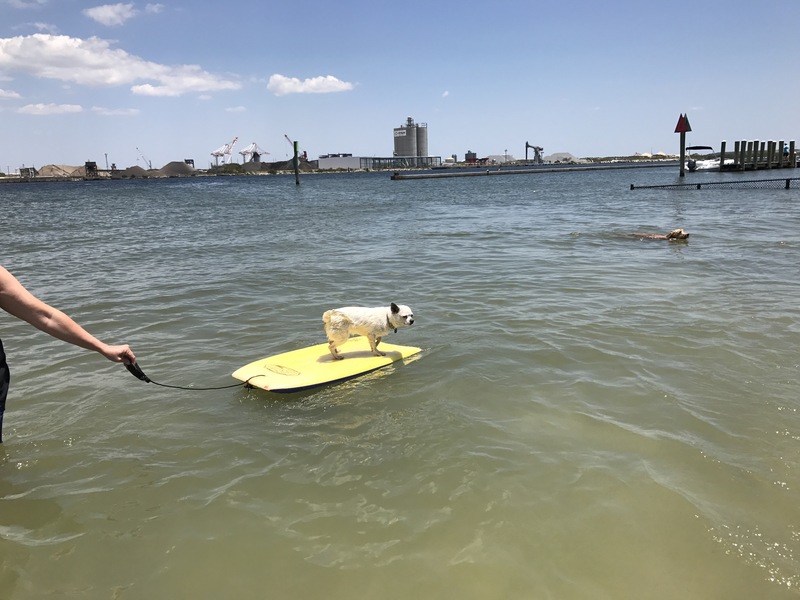 Sadly the beach is no longer dog friendly because of a few losers… It’s always a few that ruin it for the rest of us! We just passed that on the way to a brewery! If Allen has a day off this week I think we will try to go! Thanks for sharing your adventures with your washer/dryer. I hate that you are having so much trouble. But I’m sure that we are not the only ones that are learning from your expense. Adventures… oh I wish! I’m glad we are helping at least!